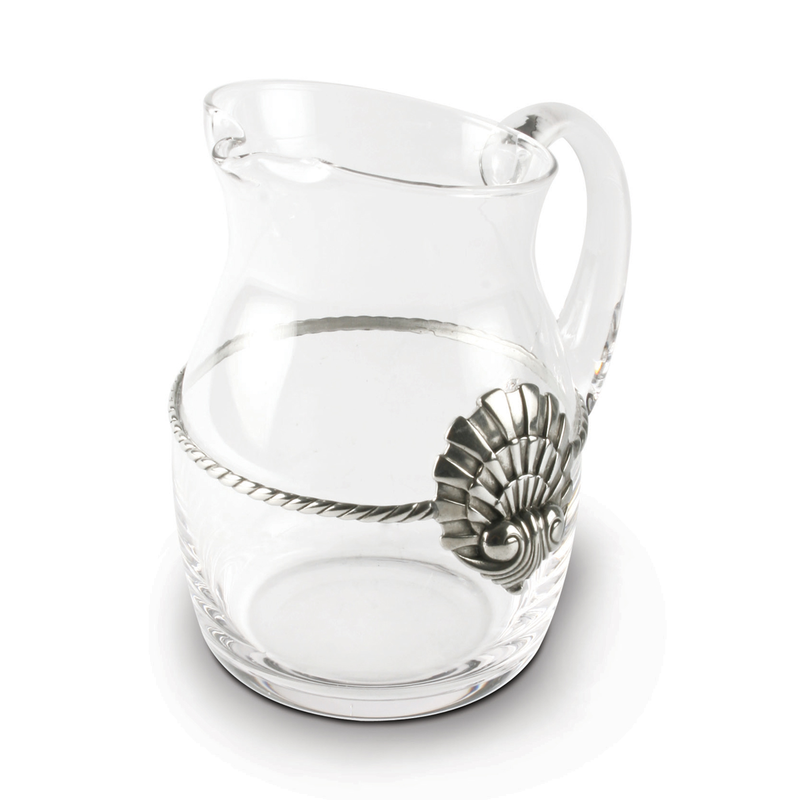 Make a statement in your kitchen with the Glass Pitcher Coquille Medallion - Large, adorned with clear glass surrounded by a twisted band of pewter and a stylized layered scallop shell medallion for a true seaside feel. This coastal dinnerware ships from the manufacturer. Allow 3 to 4 weeks. Cannot express ship. For even more offerings, we encourage you to take the occasion to look at our extensive selection of coastal dinnerware at Bella Coastal Decor now.